most definitely for me, the stories of redemption in Ethiopia move me. not only the use of artillery for their jewelry, but of the lives changed through the power of work, community and love. I love Embemebet's story. The redemption of those like her who are HIV+, who have receive medical care and who are beginning new, purpose-filled lives is inspiring. I love that the material once used to destroy lives now brings hope. 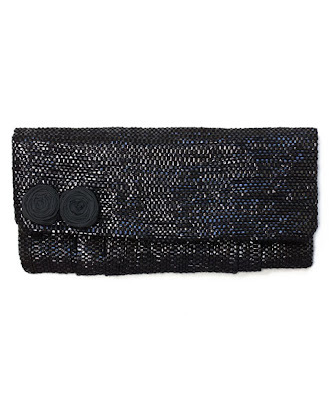 I also love the rewind clutch...I have a heart for those with special needs, and work with them daily as an occupational therapist. I love that they were taught a functional skill that provides them with a sustainable income rather than being outcast. I love the stories from Rwanda! It amazes me how God used the start of this company to bring Jack home to his family, and give hope to women like his biological mother. The story of Astrida and Zed is very eye opening, but also full of hope. I love the story about Rwanda. It amazes me that God use the start of this company to not only bring Jack home to his family, but also to provide hope to women in the same situation as his biological mother. I also love the story of Astrida and Zed. It is very eye opening, but also full of hope. I like the Peru story. I think it is great making something out of real wool. Someday I want to learn t spin wool and make something fro it. Rwanda, because one simple, creative idea to give Jack a forever family is where it all started. 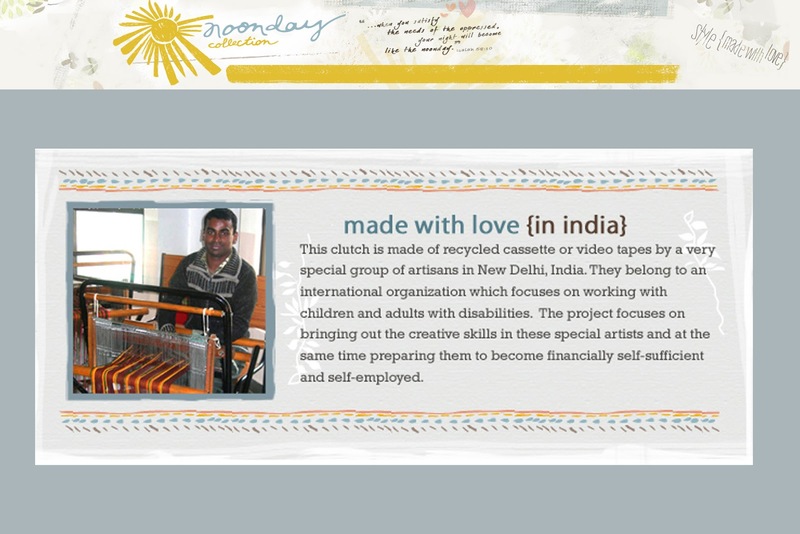 To see how far Noonday Collection has come since then, and how many lives are being touched is truly amazing! It is so hard to choose a favorite because they are all so awesome!! But the story from Rwanda was my favorite. So inspiring! I <3 the Ethiopia story. I love turning violence (bullets) into beauty (jewelry)! Astrida's story from Rwanda really speaks to me. We have friends who share a similar story but her husband was not so fortunate to get away and she eventually found work as a nanny for a wealthy family. I have some of the jewelry from Ethiopia made from recycled artillery. When people comment on it, I love sharing the story behind it! I want to hug Astrida. (I want to hug all of these people really). I have 4 children too, and I cannot imagine the struggles she and her husband must go through (and more of what they have gone through) in order to care for those children. I love that the artisans in Ethiopia receive life-giving medicine that wouldn't be available to them otherwise. They get a fresh start and a new, healthier life! I also love the symbolism behind the upcycled artillery jewelry. What was mean for harm is turned into a thing of beauty! I love the stories about Ethiopia. Women receiving life-giving HIV medicine, and artillery intended for harm upcycled into something beautiful!! The story of Astrida and Zed from Umucyo in Rwanda both breaks my heart and encourages me at the same time. What an awesome ministry! I love the Ecuadoran Artisans -- Ecuador and it's people are dear to my heart. I spent some time working in an orphanage there and the final weeks of my stay were spent in the jungle, where I actually saw and held the tagua pods and the acai as well. I would love to go back, but until then I am thrilled to be able support the Ecuadoran artisans AND carry a piece of the country around with me. I love the Ethiopian stories and Embemebet. It is amazing that the artisans are able to transform the remnants of violence and conflict in to a treatment for people suffering from the epidemic of AIDS. It is such and inspiring story of hope and redemption! Wow... I have read many of the Artisan backgrounds previously but had missed the refugee groups in the USA. I am beyond excited to know that Noonday is partnering with these small yet so important groups. I am especially touched seeing the incredible fortitude and drive Fara has, and her heart for the family she left in her own safety. Praying for each woman and family in the Tibetan community mention in NY and the Austin Community, how wonderful to find a way to maintain their identity in the midst of new. Hey...My ambassador friend just showed me that I won this giveaway. I never knew!! Did I miss out because it has been so long?